As a child, Jeanne-Antoinette Poisson meets a gypsy that tells her she will one day be the king’s mistress and a very powerful woman. As she belongs to a modest bourgeois family, this prediction seems very outlandish, but her mother believes it and makes sure Jeanne gets the proper education of a lady. With a little help from her godfather’s connections at court, Jeanne manages to meet Louis XV, and they start a passionate love affair. She receives the title of Marquise de Pompadour, and her influence in Versailles grows despite her many enemies. 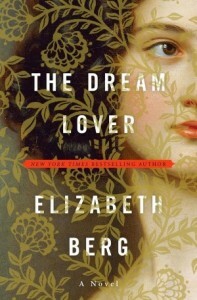 Will she be able to hold the king’s attention despite of him being a notorious womanizer? Will her rivals be successful in banning her from court? 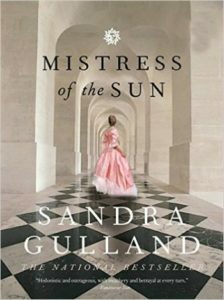 The Rivals of Versailles is a historical fiction and the second book in the Mistresses of Versailles Trilogy. I found that the author’s writing style had significantly evolved since her first novel, even though she uses the same devices as in her debut: short chapters that often end with a letter. This gives the story a certain rhythm and helps it go forward in time. In addition, I thought that the Marquise de Pompadour was a fascinating woman, ambitious and bright. 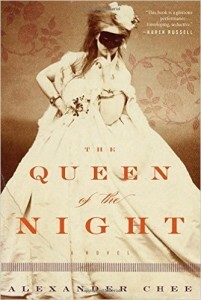 When I started reading, I believed the novel only told her story, but it also talks about Rosalie de Romanet-Choideul, Marie Louise O’Murphy and Marie-Anne de Mailly de Coislin, the women who each plotted to unseat the Marquise. I especially enjoyed the book’s comedic moments, particularly during Rosalie and Marie-Anne’s short-lived stints in the king’s bed. However, at the beginning of the book, it sometimes seemed we didn’t have Jeanne’s end of the conversation, as dialogues only included what her interlocutors were saying. Surely, she couldn’t have charmed Louis XV without talking to him? On the whole though, this was a great read, and I highly recommend it. I can’t wait for the last book in the trilogy, The Enemies of Versailles, that will come out in the spring of 2017! The Rivals of Versailles was sent to me for free in exchange for an honest review. 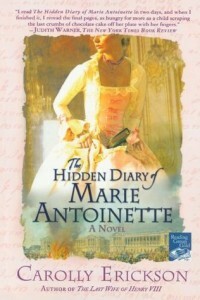 Read my review of The Sisters of Versailles, the first book in the Mistresses of Versailles Trilogy. 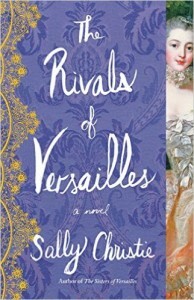 Sally Christie made two research trips to Versailles. Louis XV had 69 known mistresses in his life. Frederick of Prussia named a dog after the Marquise de Pompadour. In Versailles, you can do a backstage tour that takes you to the apartments of the Marquise de Pompadour, the apartment of the Comtesse du Barry, as well as the servants quarters.